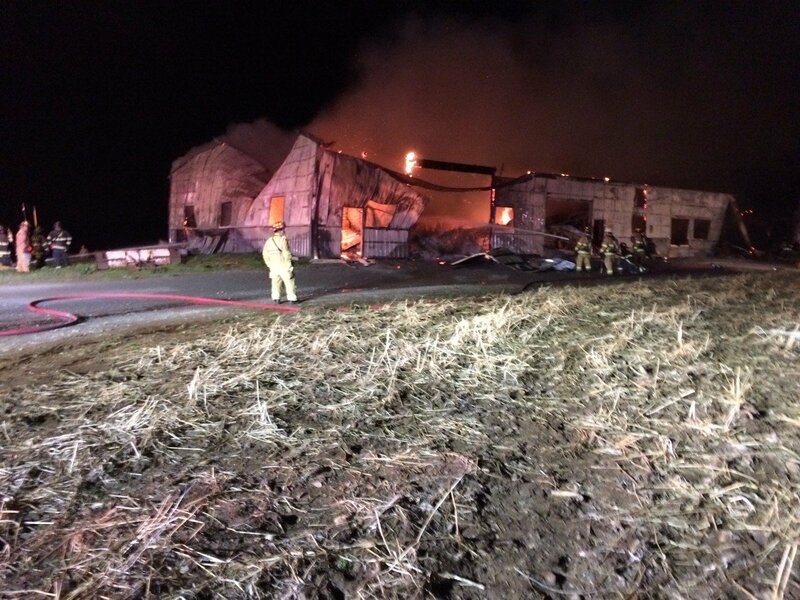 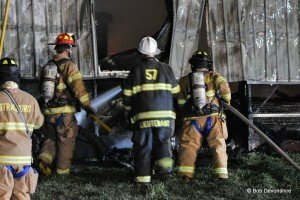 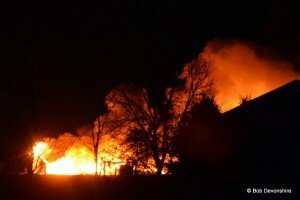 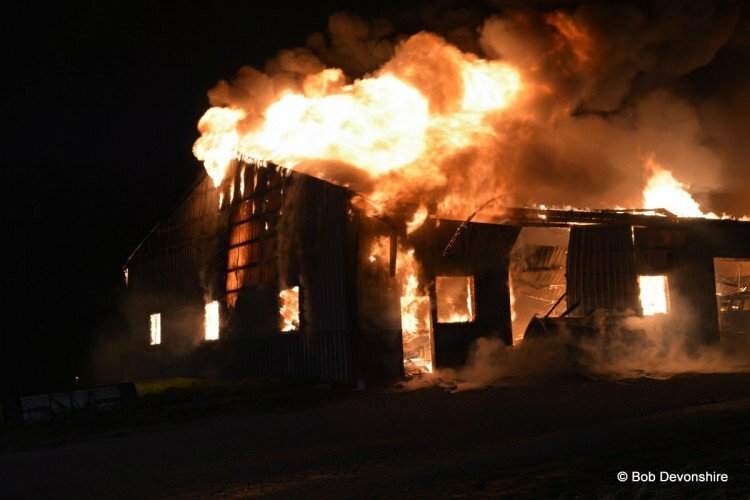 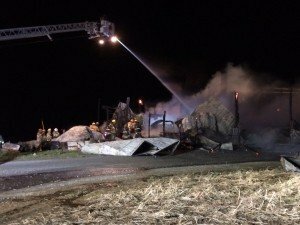 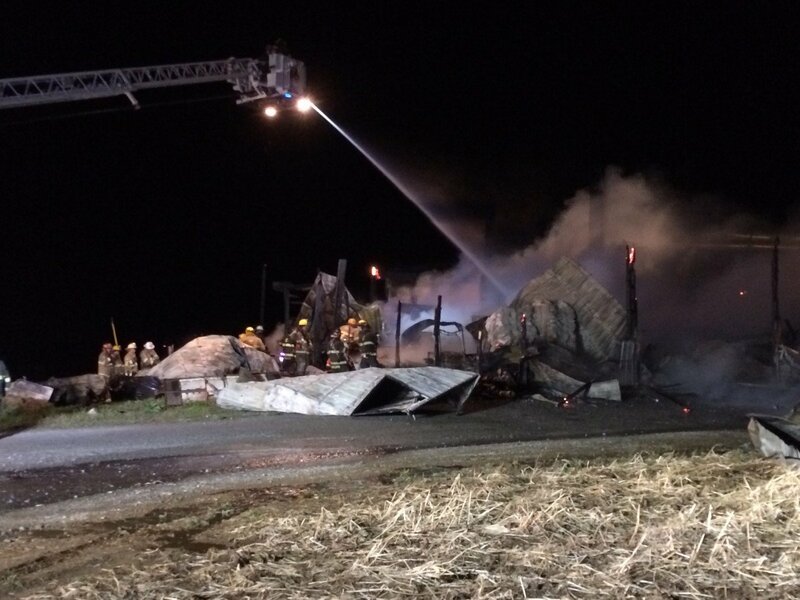 Rescue 5, Truck 5 and Tanker 5 were alerted shortly after 1 am this morning to assist Staion 57 (Quarryville) on a building fire on the 300 block of Stony Hill Rd in Eden Township. 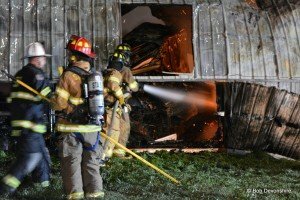 Chief 57 (Neff) arrived to find a fully involved woodworking shop and established command. 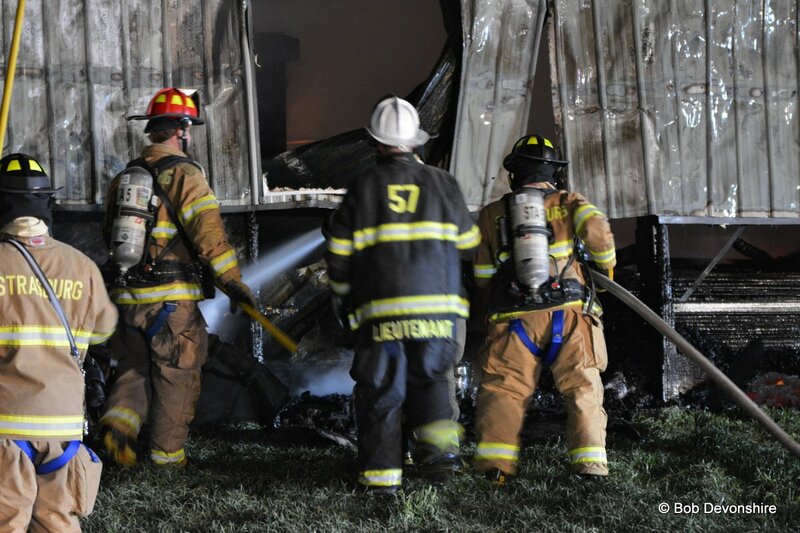 Truck 57 set up on the bravo side of the building with Engine 57-4, Engine 51-2 setup on the alpha/bravo corner. Station 5’s crews assisted with pulling metal off the exterior walls as well as operating landlines. 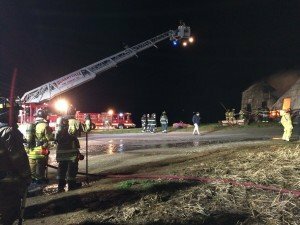 A thank you to Bird in Hand FC for standing by at our station while we were out. Units went available at 0555 hrs.